YouGov | How do we get results? How does YouGov generate results for clients? 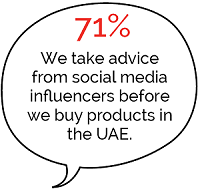 One of the largest integrated communications groups in the MENA region wanted to discover the impact of social media influencers on consumer purchasing in the UAE. Using our quick turn-around online Omnibus YouGov surveyed our panel of respondents in the UAE and delivered the results in a week. How does YouGov Omnibus Work? Interview a representative sample of the general population or target specific audiences twice a week. We'll deliver the results as simple data tables. We'll help you design (and translate) the perfect survey and you'll get up to 1,000 responses in just one week. 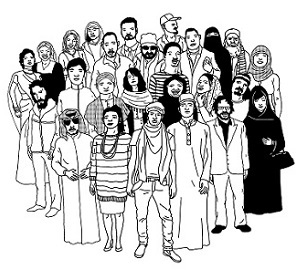 Pay per question between $150 - $500 across 16 different markets in MENA, India and Pakistan. Plus many markets worldwide. We receive the highest survey response rate in MENA and are trusted by the region's leading media. Could you benefit from research like this? Let us show you how. YouGov regularly conducts one hour training sessions with PR agencies in Dubai to help them understand the best ways to design and interpret research for the future benefit of their business and their clients. Not to mention becoming pioneers of industry trends and best practice! How to get your data published - answers direct from the media!